Planner Squad is happy to share this contribution from Lady T, an artist and graphic design specialist. Find out why Lady T believes every tomboy needs a planner and check out these awesome free planner printables. Hi! I am honored to share some insight with you today. A planner is the perfect addition to every female’s life even if she can be found at a local bar, watching Monday Night Football with her brothers. As a girl who likes to live life on the fly, forgets everything including her own birthday, and barely has time to slide mules on her UN-manicured feet while flying out the door…how can a planner help her? 1. Planners come in fun designs to fit HER personality. Thanks to the ever-growing planner craze, planners are available in so many patterns, colors, sizes and shapes. One type of planner will surely appeal to our tree climbing hero. Even Wonder Woman wears lipstick! If you do not like the covers on your planners, make one yourself and change it. Yes, you can do that! There are not enough Tomboy and masculine-themed Planner stickers out there. To remedy that situation, you will find a free Tomboy Hero printable pack that includes a planner sticker set and a new cover. Just print the covers, place them back to back, laminate, trim and punch for your specific planner. This free Tomboy Hero printable pack works for a variety of planner types and sizes. More information is included with the set for printing options. 2. 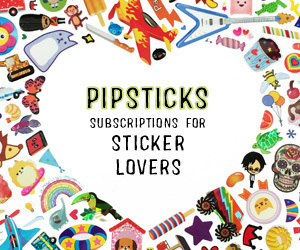 You can deck your planner out with stickers! Remember the days of decorating your locker, three ring binder, and textbooks? Decorating my planner takes me back to my middle school days. I put hundreds of stickers on the cover! I would then take a marker and trace around them several thousand times. Oh and doodling! The Tomboy can do all of that if she wishes! Nothing like stepping back in time to childhood and making the planner process fun and inviting to use. Go crazy let your inner Garbage Pail Kid out! There is no wrong or right way to decorate your planner. It’s not a diary per se-more like a detailed journey of your life or a time capsule, if you will. 3. Secretly you have been dying to get control of your life. One day, this Tomboy even beat up a male classmate who was picking on her brother. Though she became more “girly” in college, buying makeup, jewelry, and an occasional dress (where is that anyway? ), she grew up and continually tried to put organizational practices in place to no avail. That was until she came upon a planner that had places for notes, birthdays, a week view, a month view, and structure. It was editable, it was fun, and it was supported by a community of amazing and passionate people—where life could be shared one sticker at a time. Set aside ten minutes a day to use your planner. In a busy Tomboy’s life, this small amount of time will help you learn to organize a little bit better and a little bit smarter. How do I know using a planner can help you if you are a Tomboy? Because I am a one and I can’t live without it! Try it! Don’t miss these awesome FREE printable Tomboy resources for your planner! Click on HERE or on the image above to check out these printable Tomboy planner resources. Lady T provides instructions on how to size these printables to meet your needs. You will find printable covers for Erin Condren and Happy Planner, as well as free printable planner stickers. Subscribe to Planner Squad for exclusive access to these resources and all our freebies! Find out more about Lady T! Lady TPowers of Dunans, ( LadyT) is a college graduate with a Degree in Graphic Design as well as a self-taught artist of Cherokee and Irish descent. Born in the Chicagoland area―titled by land ownership in Scotland, she took to art as soon as she was able to hold a crayon. Throughout her childhood, she developed an appreciation for her majestic surroundings. “I would often sit in trees for hours with pencils and pad, or sit in a meadow with watercolor and canvas.” Years of artistic expression made it clear that LadyT’s life would be centered upon her passion for art. After high school; where she participated in three years of extensive extracurricular graphic-design programs, she attended Graphic Art College where she got her degree and discovered more advanced graphics, illustration, writing and printmaking. Much of her work is influenced with her native descent, however, this artist is extremely versatile in that she can accomplish most styles that she puts her hand to. A rare talent or a serious case of ADD or both! She has self-proclaimed herself a Bohemian artist. Lady T is a professional artist full-time while dealing with disabilities. These disabilities are unfortunately many and consist of a brain Aneurysm, IH, Fibromialgia, Complicated Migraines, Venous Angioma, Apnea, Asthma, Thyroid (Hashimotos) with two lumps, short term memory loss, vision and hearing loss, Arthritis, Double Carpel Tunnel, Tennis Elbow and the list goes on. She had a shunt placed in her spine over a three years ago to relieve the swelling in her brain to assist in relieving pressure placed on the eyes, ears and brain itself. She was in danger of losing her eye sight permanently. Why does she share this with you? Because though she has under gone extensive medical and mental issues she daily finds new ways to cope and stay positive. She says she attributes this to the amazing people she surrounds herself with and the internal desire to make each day a new beginning. Lady TPowers of Dunans, ( LadyT) is a college graduate with a Degree in Graphic Design as well as a self-taught artist of Cherokee and Irish descent. She has self-proclaimed herself a Bohemian professional full-time artist while dealing with multiple disabilities. She has undergone extensive medical issues & finds new ways to cope & stay positive. Lady T says she attributes this to the amazing people she surrounds herself with and the internal desire to make each day a new beginning.